Well, lady, this is what I will talk about in this post. You will find out why it hurts that much. You will know why it’s possible to feel anger and regrets at the same time; why is it so difficult to move one. Then we will talk about the solution. Here we go. No, I’m not talking about the man who broke your heart. I’m talking about your emotions. Yes, they have started to lie to you since the beginning. 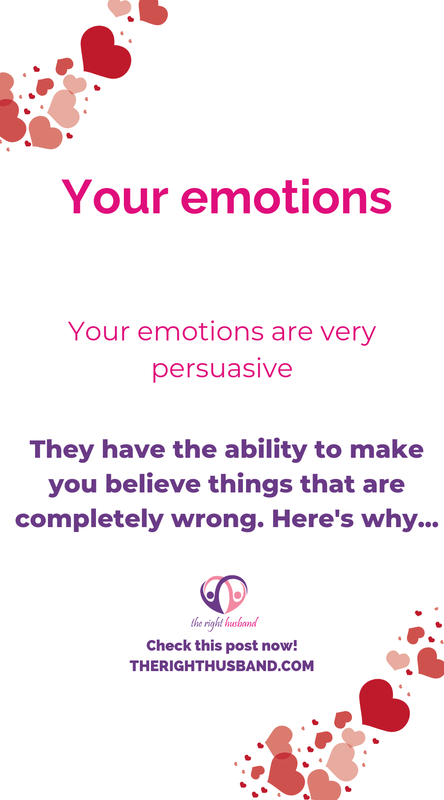 See, your emotions are very persuasive. They have the ability to make you believe things that are completely wrong. Let’s see the lies that your emotions may have told you since day one. Then we will take a look to what they are saying right now. No, he’s not. Everybody has flaws. And for sure if you don’t realize it you will suffer again. Like I said in the article how to find a quality man, perfection in relationship is the quality of your couple when you and your love partner fit together. No he’s not. The truth is that you feel great when you are with him. You see some of his qualities and you feel warm inside. It’s OK. I’m not judging. This is how we, humans, are: always misleading ourselves. We feel something in our hearts; then we project that emotion on someone. That person is responsible for the way we feel. Sometimes that mistake is only a sweet lie. But it can announce something real bad that will happen soon or later. Understand that your emotions are your own. You create them. Yes, you have a great heart. But think about it. You have opened your heart, you have been generous with him for two reasons (here again, I’m not judging you). The first one is that you feel great when you offer something to someone you care about. Now, it’s absolutely normal. That’s what being in love is all about. The second reason is that you wanted to keep him. All you wanted to do is to show your value. Again that’s what love is all about. You want to have, you want to keep. Nothing special here; but you have to be conscious about that. It has nothing to do with love, darling. There is reason why you loved that man. There is a reason why there is pain today. With him you were feeling great. And you loved that. Now that possibility is not there anymore. That’s why it hurts. Everything is logical here. You don’t have to project yourself in the future and be afraid. In the article what if I never find a boyfriend, I talk about how fear can make your life very difficult. 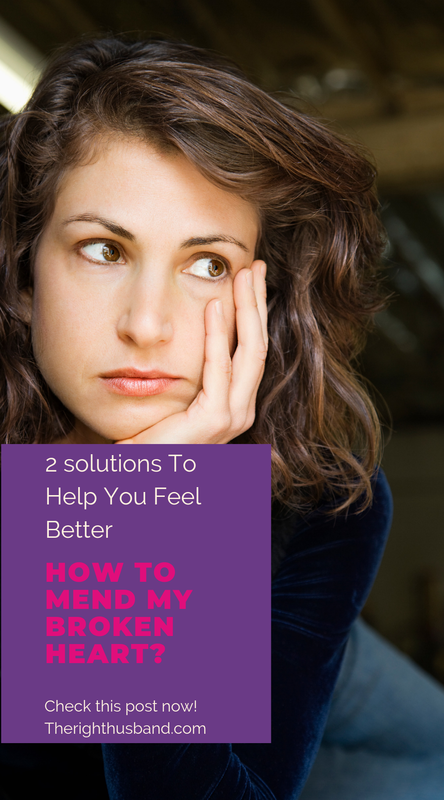 In the next section, I will talk about the solutions you can use to get rid of that feeling. For now, all you have to do now is to observe. I can’t stress this enough. Take your time to analyze your feelings. You have to know what’s going on inside. Well, probably because you were touched by his sweetness… You liked that feeling. Now do the same with your pain. Why do you think it hurts? Lady, do not lie to you. Go deep to understand those feelings. Maybe you will cry but keep looking. I know a man took a pen and a note pad. He started writing his observation. Even if he was drunk. You don’t like to write? Take your phone and record what you have discovered. You are an emotional universe; it’s all yours. You have created it. You will get out it by yourself. 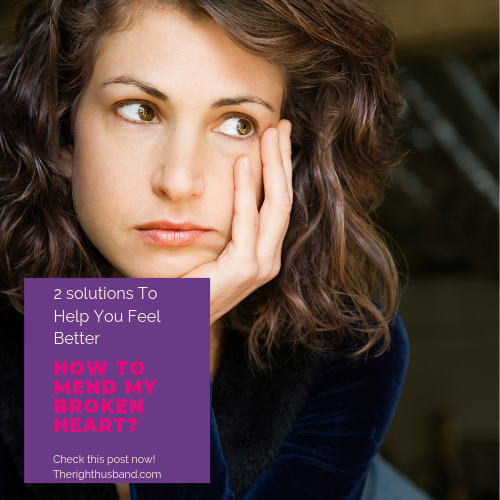 Sure there are some techniques you can use to make things easier has you are fixing your heart. This is the subject of the next section. But if you don’t understand right now how you create those sad emotions, you will get hurt again. Learn from that experience, lady. The solution #2 is a classic. It’s usually the solution we use when we break up: distraction. Sure the first step is the most important one. But hey! you don’t have to look in your wounds all day. Now, I can see you. You think that you will bury your pain in your work. Personally, I think that it’s not the best way to go. What you try to do is to freeze your emotion using your job. You will not heal your heart this way. Think about the great philosopher Spinoza (I love that dude). He says that only an emotion can help you to chase away another emotion. The greatest emotion is the satisfaction to understand (this is the solution #1). Now, here is how you can use distraction to start a new life. Yes, exercising helps a lot. You don’t have to gym if you don’t want to: you can run outside or go to the swimming pool. A long walk is a great exercise too. Take care of your body. How about drawing lessons? You were talking about joining a golf club? Go for it! Passion can push away sadness. Find something that you could love to do and give it a try. Your friends will not heal your heart. It doesn’t matter: it feels great when they are around. So why would you stop seeing them? Have fun with the people you care about. Don’t turn your head when you see a happy couple. In reality or in movie, it doesn’t matter. What you want to do is to create propaganda in your head. 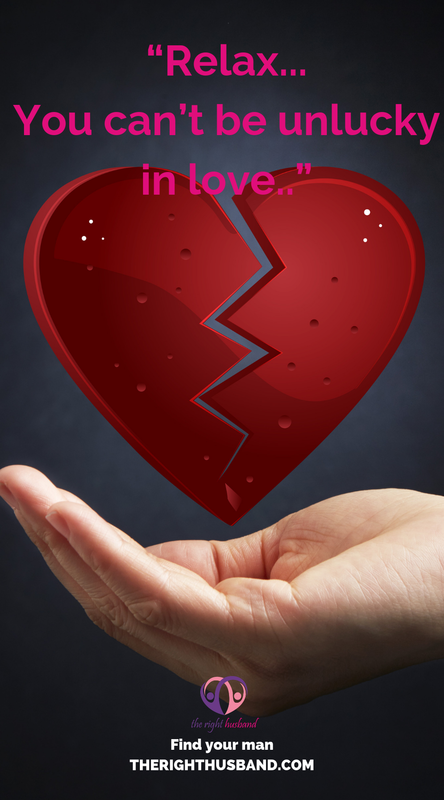 In the article 20 breakup affirmations to heal your heartbreak, you will find some formulas to pronounce to help you heal your heart. Use them to fight back when you will start to say that love is a big lie. Because deep inside, you know it’s not true. 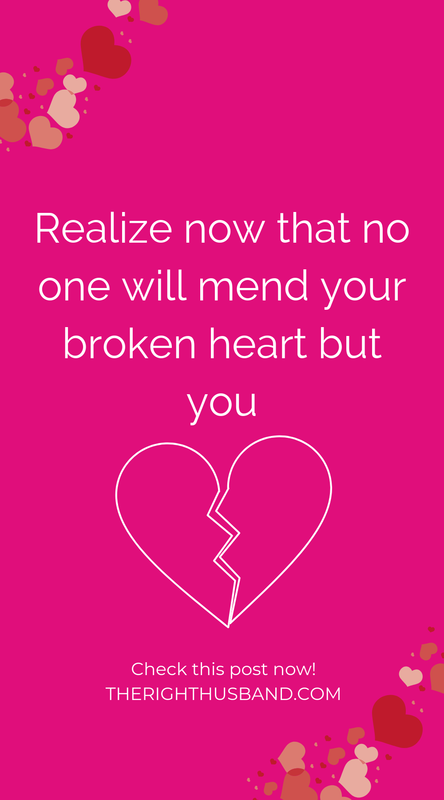 Realize now that no one will mend your broken heart but you. The only way you will heal is by understanding how your emotions work. Stop lying to yourself. That’s what most people do. They cry and cry and one day (who knows when?) the pain will start to go away. But the lie is still there. Then they get their heart broken again. Time to stop that nonsense, don’t you think? ⟵How To Find The Right Man Using The Power Of Synergy.